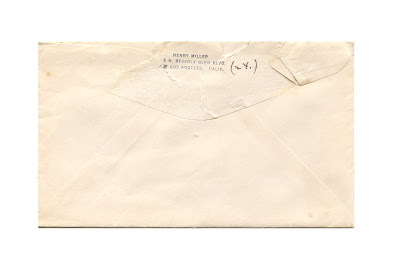 Came across this interesting letter from writer Henry Miller, dated December 6th, 1943. No, I don't sell my books my self. There are several book stores which carry them. In New York City there is The Gotham Book Mart - 51 W. 47th St. Write or visit them. Very Cool! Did you find that in a book? Seems hard to believe someone would leave that behind! 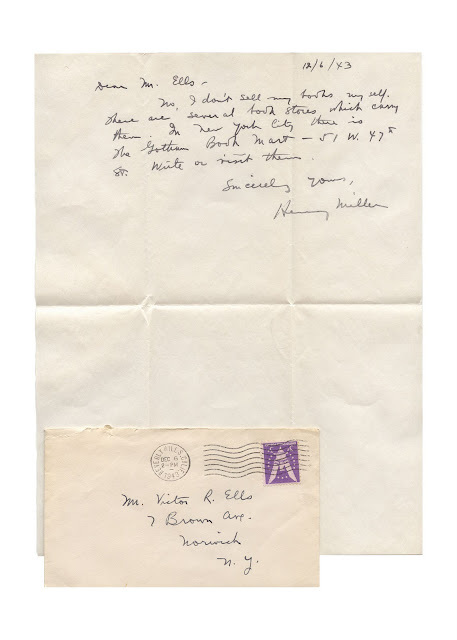 The idea of Henry Miller going door to door, a suitcase full of Henry Miller titles available for sale, is pure awesome.